Since beginning my career as a digital nomad at the ripe age of 19, I have traveled all around the globe and accumulated a wealth of knowledge doing so. Now with a drive greater than ever, I am going to continue this journey, but this time via a 36-40′ monohull sailboat! 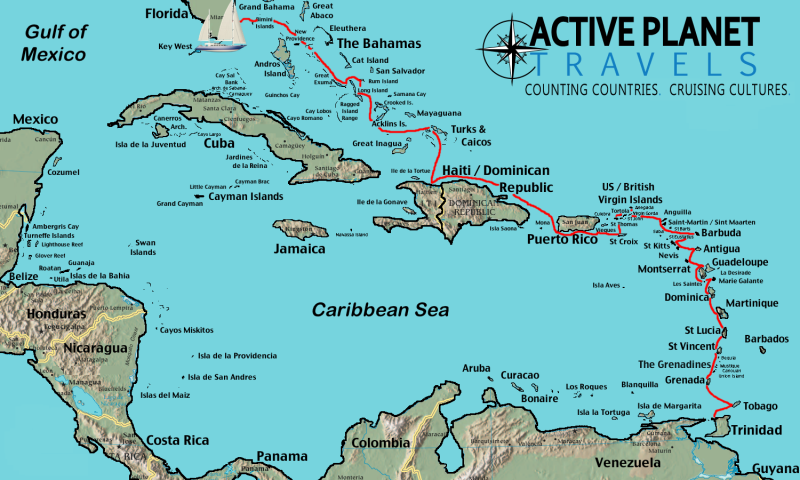 The concept for this adventure is that I am going to be exploring a new part of the Caribbean (the first stop being the Bahamas) in my sailboat and for each destination I will be trying different outdoor adventure travel activities, intermingling with the locals and meeting up with other travel bloggers who happen to be in the area along the way. I’ll be recording it all and regularly placing videos on my Youtube Channel with in-depth information at off-the-beaten-path locations all around the islands! My goal is to show you the gems of the Caribbean; including the glitz & granola of the islands, I plan to visit (as well as the ones that I just happen to come across). Of course, if I get word of a place that I can’t pass up (which, surprisingly, happens quite frequently while traveling) I don’t mind going out of my way to do a little exploration! Towards the end of my journey, the goal is to sail through the Panama Canal and into the Pacific Ocean. Once I make it to open waters, I’m using the recommendations of people I met throughout my Caribbean journey to decide where I should go from there! It’s quite compelling to make decisions at the last minute like this but, hey, from my experience it offers an even better opportunity to create those mouthwatering stories all great travelers are known for! In the past few decades, sailing has transformed into a pass-time for the wealthy or retired. For most of history, sailors were salt-of-the-earth nomads, regular people driven to see the world. Young travelers don’t realize that throughout most of the world, the costs of owning and operating a boat are still low enough to make traveling by boat an unforgettable, budget-friendly adventure. My goal is to show the outdoor adventure travelers I’ve met on the road that sailing into paradise is something obtainable by just about anyone who puts their mind to it! Sailing in those crisp, tropical waters and downing a few cerveza’s is no longer for just the rich and famous!